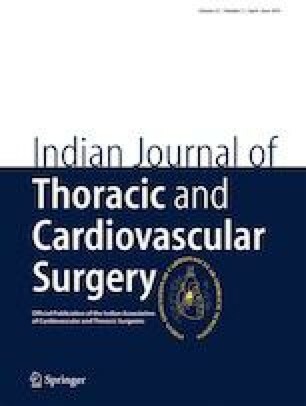 To compare the outcomes of isolated coronary artery bypass grafting (CABG) versus surgical ventricular restoration (SVR) with or without CABG for patients with ischemic cardiomyopathy (ICM). Retrospectively, 49 patients with ICM and severe LV dysfunction (LVEF < 35%) who underwent SVR with or without CABG from January 2009 to December 2016 at a single institution was compared with 49 patients who underwent isolated CABG. The two groups were matched for preoperative clinical and echocardiographic parameters including left ventricular end-diastolic diameter (LVIDd), left ventricular end-systolic diameter (LVIDs), left ventricular ejection fraction (LVEF), left ventricular end-diastolic volume (LVEDV), and left ventricular end-systolic volume (LVESV). Primary outcomes analyzed included early mortality, late mortality, and major adverse cardiac or cerebrovascular events (MACCE). Secondary outcomes analyzed included echocardiographic parameters of left ventricular volume and function-indexed left ventricular end-diastolic volume (LVEDVi), indexed left ventricular end-systolic volume (LVESVi), and LVEF. Cox and survival analysis was performed. Early and late mortality in SVR vs. CABG groups were 4 (8.1%) and 6 (12.2%) vs. 1 (2%) and 5 (10.2%) respectively. Mean improvement in LVEF was 3.39 ± 7.51 compared to 4.97 ± 5.45 between the two groups at 3-month follow-up. Mean improvement in LVEF was 5.1 ± 8.3 in the SVR group vs 5.9 ± 7.1 in the CABG group at the last follow-up. There was no statistically significant improvement between the two groups in terms of LVEF at 3 months or the last follow-up. There were statistically significant differences between LVEDVi and LVESVi between the two groups at 3 months and the last follow-up. The 5-year rates of survival were 85 ± 6 and 82 ± 9% for SVR and CABG groups respectively. The 5-year rates of freedom from MACCE were 75 ± 7 and 60 ± 11% for SVR and CABG groups respectively. Compared with isolated CABG, SVR plus CABG results in equivalent late mortality and better left ventricular reverse remodeling (as evidenced by LV volume reduction) and better freedom from MACCE at 5-year follow-up. We acknowledge the statistical analysis and support provided by Dr. Balaji, Assistant Professor, Department of Community Medicine, The Madras Medical College. Institutional review board approval has been obtained for the publishing of patient profile and this article. Question 1: How was the degree of akinesia/dyskinesia calculated pre-operatively? Were the echocardiographers blinded to the study? Was it a single person doing all echocardiographies or two independent observations were taken? Answer: The degree of akinesia/ dyskinesia was calculated pre-operatively by transthoracic echocardiography. The lack of objective quantification of the akinesia/ dyskinesia by MRI has been mentioned as a limitation of the study. Since it is a retrospective study, the echo cardiographers were not blinded to the study. Two independent observations were not taken but all echocardiographies were done at the same core lab according to our institute protocol. Question 2: Were there any crossovers? Was the analysis “Intent to treat’ or “As Treated”? Question 3: How was the size and the shape of the ventricle decided? Was it just eyeballing or some form of mannequin for objectivity was used for the same? Answer: The size and shape of the ventricle was assessed by echocardiography. The intraoperative judgement was by eyeballing. No mannequin for objective reduction was used. Question 4: Was any viability study done pre-operatively and if yes, its correlation with results and hard end-points. Answer: All patients did not undergo viability testing preoperatively. Hence a correlation with results and hard end points could not be obtained. Question 5: What was the experience of the surgeon/s doing the procedure and did the surgeon’s experience and the volumes reflect in results? Answer: All the cases were performed by surgeons who had been performing SVR much before the commencement of the study. There was no discrepancy between the surgeons who performed SVR with respect to prior SVR experience. Hence, surgeon’s experience and results cannot be correlated. Question 6: One of the lacunae with STICH Trial, and probably a major reason for its inability to demonstrate major benefit with SVR, was its failure to achieve a volume reduction of 30% as stipulated and planned. In your study too, volume reduction post SVR is to the tune of 20.6%, which is sub-optimum. How do you therefore justify your conclusions as valid? Answer: There is a subset of patients within the SVR group who do not have a significantly dilated left ventricle but still have a significantly large area of akinesia or dyskinesia. When SVR is performed in such patients, the volume reduction will be less despite achieving adequate reconstruction of left ventricle. Thus volumetric analysis of SVR alone cannot be used to arrive at conclusions and requires to be correlated with the reduction in area of dyskinesia/ akinesia achieved. This quantification requires LV strain and MRI assessment for achieving further conclusions. This is mentioned as a limitation in our original paper. Question 7: Was any separate analysis done for the patients who achieved more than 30% volume reduction post SVR? Answer: No separate analysis was done for the patients who achieved more than 30% volume reduction post SVR. Question 8: How do you claim that the 2 groups were matched with multiple confounding variables like Arterial Vs Venous CABG, Mitral Valve Interventions, varying levels of PAH, IABP use etc.? Answer: As mentioned in the limitations in the study, it was difficult to obtain perfect matching between the two groups with multiple confounding variables. Question 9: Was any form of functional testing like six minute walk test performed postoperatively? Answer: No objective evidence of functional testing like six minute walk test was performed postoperatively. Question 10: Did you find any threshold value of post-operative LV end-systolic volume index at which benefits of SVR were lost and what do you think is the best time for performing SVR? Answer: We did not analyze any threshold value of postoperative end-systolic volume index at which benefits of SVR were lost. Best time for performing SVR is after scar formation since it helps in effective reconstruction of dilated LV. It also makes the operation technically easier to perform without increasing intraoperative bleeding. Question 11: STICH2 study by Choi et al. reported reduced survival with rising Sphericity Index. Did you look at the Sphericity index in your study and its correlation to end results and functional status? Answer: Sphericity index was not analyzed and hence its correlation to end results and functional status cannot be commented based on our study.